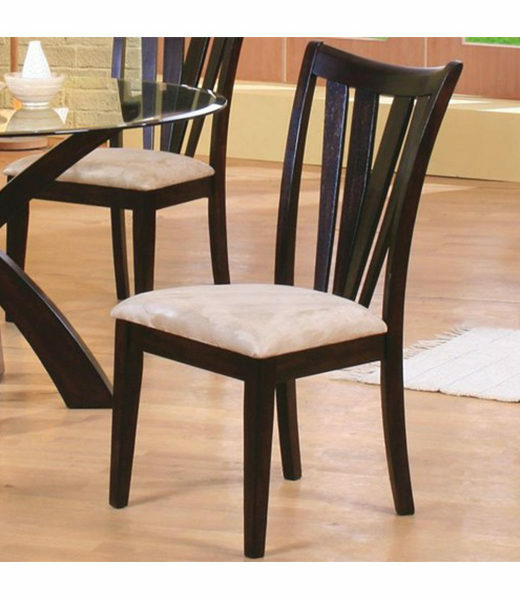 This stylish contemporary dining side chair will add a warm look to your dining room, from formal to casual. The sleek vertical back slats create a sophisticated look, in a deep Cappuccino wood finish that will complement your decor. 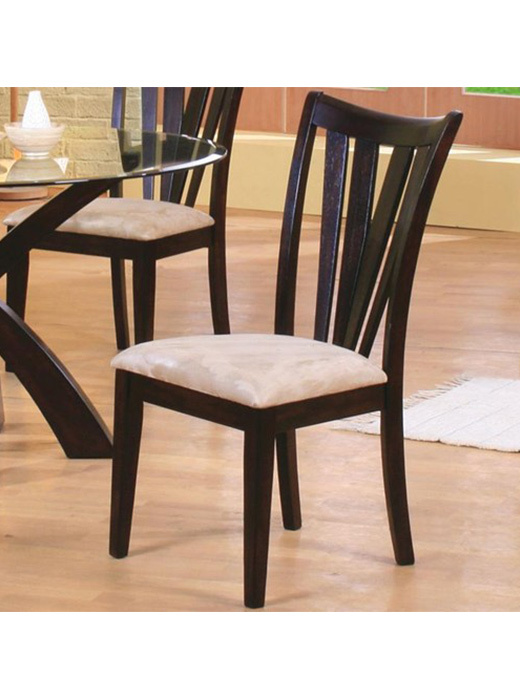 A soft tan microfiber seat creates a comfortable and durable place to sit, above tapered square wood legs. Pair with a table from this group for a harmonious style in your dining room. Choose the Shoemaker collection to transform your semi-formal dining room into a contemporary space with chic and elegant style. With different options to fit your needs, this group offers clean lines, sleek and comfortable seating, and a deep Cappuccino wood finish that is sure to complement your decor. Mix and match the tables and chairs to fit your space to accommodate family and friends in your stylish and welcoming dining room. Finish & Paint Options Deep Cappuccino wood finish.